Students read about and summarize ancient and historical codes of law that have had an impact on the American legal, political, and governmental systems. Then they explore the types and sources of modern laws. Next, students develop a definition for the concept “rule of law.” Finally, students analyze an image of Lady Justice and explain how she represents rule of law. In this experience, students read about and summarize ancient and historical codes of law that have had an impact on the American legal, political, and governmental systems. Then they explore the types and sources of modern laws. Next, students develop a definition for the concept “rule of law.” Finally, students analyze an image of Lady Justice and explain how she represents rule of law. Students will collaborate in small groups for scene 2 to scene 5. Define rule of law and describe how it influenced the development of the American legal, political, and governmental systems. 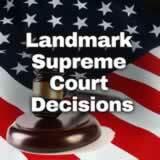 Identify early legal codes that influenced the system we live by today. 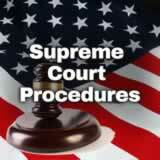 Identify the sources and types of law in the United States. 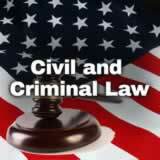 Laws are designed to prevent criminal acts, to regulate agreements between people, and to set punishments. All people living in a society are asked to follow laws. These laws tell us what acceptable behavior in a society is and what it is not. 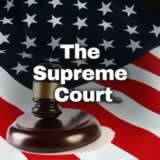 In this experience you will learn about the role that laws play in the United States. Based on these two quotes, what do you think a “government of laws” is? Since the phrase may be new to you, make your best prediction. Students may be able to arrive at a basic definition of a democracy where the government must obey the laws and work by the rules. The rule of law is the principle that society is governed by law, and that all members of a society are accountable to law. 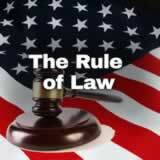 Rule of law tries to guarantee that the law is fairly applied and enforced. 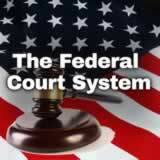 This concept that government operates under a set of fairly applied laws is the foundation of our judicial, legislative, and executive branches of government. Can you name a country that appears not to honor the rule of law? If you are unsure, turn to a partner and discuss briefly before posting an answer. If students struggle to name a country, suggest that they think about what they hear in the news. Which countries are mentioned as abusing human rights, of having demonstrations against government corruption, or being affected by civil war? 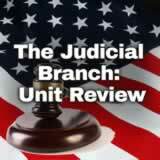 The Complete List of Learning Experiences in The Judicial Branch: Justice and the Law Unit.